Registering your profile on Juriosity is free and enables you to have a valuable digital presence alongside other legal professionals. You can tailor your Knowledge Feed to your specialisms and follow specific individuals or organisations that you are interested in so that you always stay informed on the latest developments. You can also use Juriosity to self-publish articles and contribute to the Knowledge Centre, demonstrating your expertise to site visitors. The wealth of content from leading practitioners and organisations in Juriosity’s Knowledge Centre allows you to research topics of interest, advance your knowledge and develop a broader understanding of different practice areas. Additionally, you can register a profile for your organisation and, if you wish, be an administrator for the organisation. As an organisation administrator, you can post articles on behalf of the company that you work for, to demonstrate your organisation’s knowledge in its specialist areas and potentially attract new business. With legal professionals and members of the public using the directory feature of Juriosity, having a profile on the site and engaging with the ever-growing library of content enables you to both develop and demonstrate your legal knowledge. Additionally, you can use the Juriosity directory to locate the right specialists for work that you may have in the future. Juriosity’s CEO, barrister Andrew Thornton, was recently interviewed by the team at Legal Futures. 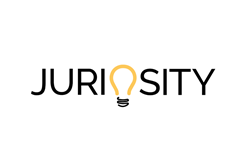 You can read about his vision for Juriosity in their feature here. If you wish, you can choose to upgrade your profile to get additional profile fields of information about you and a more noticeable entry in the directory on the site. The cost of doing so is £99 + VAT p/a for an individual profile, or £499 + VAT p/a for an organisation’s profile. Juriosity provides a new method of focussed, legal networking and showcases leading insight to users, all in one place. Register your free profile today.